For years project management software have been helping people plan, prioritize, organize, and track tasks – both personal and professional. With a plethora of tools and project management app comparisons on the web, it’s overwhelming to select the right tool for your business. To make it easier for you, we bring you an in-depth project management app comparison, review and checklist at one place. This post will highlight the basics of project management, key features, pricing, and customer reviews. Without much ado, let’s first start with the definition of project management. According to Management Study Guide, “Project Management is the art of managing all the aspects of a project from inception to closure using a scientific and structured methodology. An endeavor that involves planning, tasks, resources with a beginning and end in mind can be termed as a project – whether it is a product, service, or something else. Want to keep your team in-sync? See how ProofHub can make it happen! On-premise software: The project management application is installed in your company’s office or servers and you pay a one-time proprietary license every year to use the software. Cloud-hosted systems: These project management tool are web-based tools installed in the vendor’s server. You usually pay a monthly subscription fee to use the software. Collaborative systems: Such software are designed so that multiple users can simultaneously work and collaborate on a project(s). High-end systems: These are systems created as central project management systems for large companies and organizations to deal with complex projects. Real-time collaboration: These days teams are large in size and projects are more complex in nature. It becomes the need of the hour to have a project management app that lets team members come together on a single platform and discuss tasks in real-time. 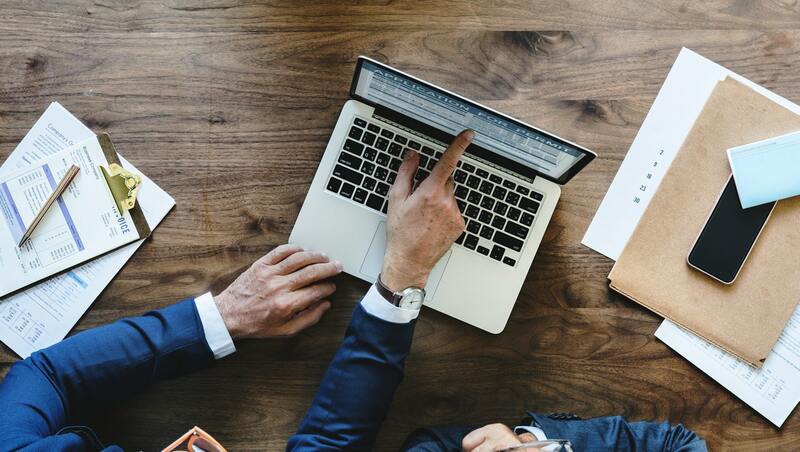 File management and document sharing: Look for a tool that acts as an effective file-sharing system and works as a central place to store, organize, and share all your important files so that you can easily collaborate over them. Time-tracking: Compare project management app and choose that lets you make the most of your time. Also, it should enable you to set time estimates, track time spent on tasks and maintain a record of every minute you spend at work. Reporting: A project reporting software to get a clear idea of how things are progressing and the resources are being utilized so that you can get rid of risks and inefficiencies in a project. 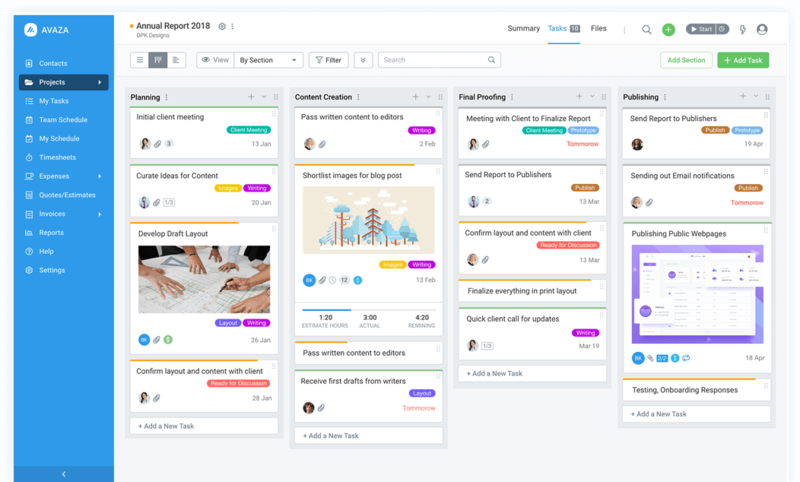 Workflows and boards: Having workflows and Kanban boards mean to have a streamlined task management process where every project task goes through stages and provides better visibility across tasks. It also brings more flexibility to your work. Third-party integrations: Make sure your project management tool easily integrates with other popular tools. These days every quality project management tool comes with multiple third-party integrations such as Google Drive, Pocket, Box, Evernote and many more. 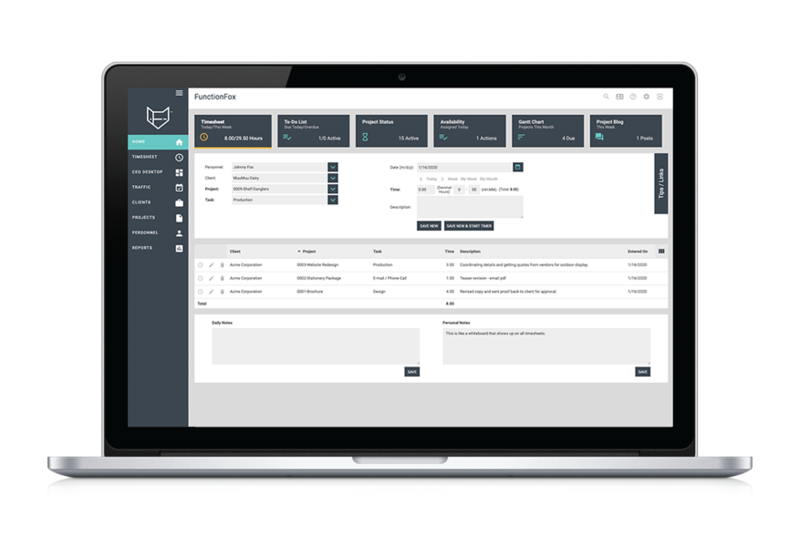 ProofHub is one of those rare one-solution-fits-all type project management software. It makes project handling easier, faster, and better. The best part is that it comes packed with powerful features to eliminate the need of having too many different tools to run your business. Wrike is known to provide an extensive set of features to its users that simplifies project planning, streamlines workflow, and enables collaboration. 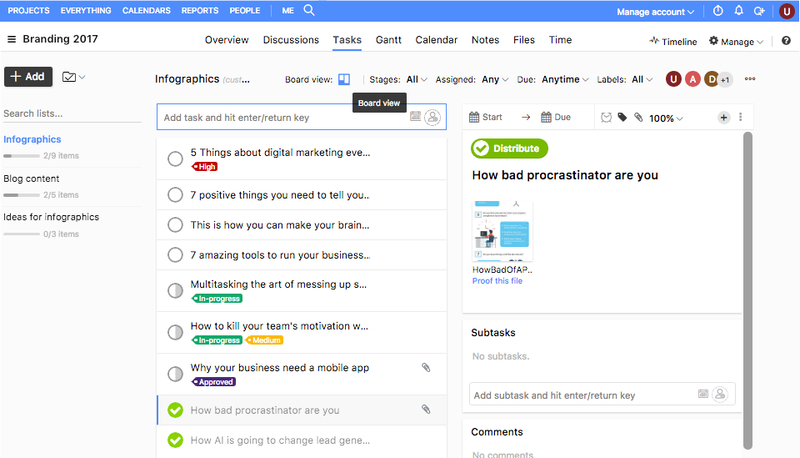 Unlike other work management tools, Wrike is much easier to use and implement that completely justifies its 2nd raking in the list. Popular names like that of Google, Jaguar, Mars, and others use Wrike to manage work. 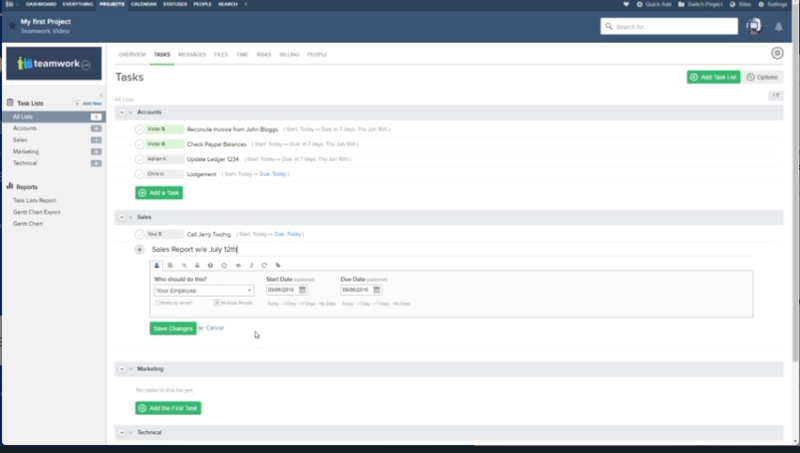 Formerly known as Dapulse, Monday.com is an organized way to manage tasks, content, people, and projects. It helps you plan, organize, and track in a collaborative place. Talking about the organizations using this collaborative tool, companies like Discovery, Carlsberg, McDonalds, Fiverr are using Monday.com. 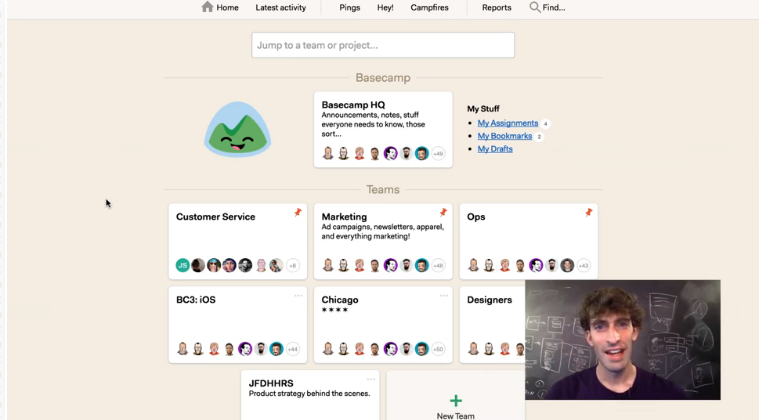 Basecamp is a project management and team communication software that puts everything you need to get work done in one place. Interestingly, it is one of the first few project management app that made a name for itself much earlier than others. All in all, it is a great place to discuss ideas, plan marketing plans, share pet pics. FunctionFox is cleverly designed to track timesheets, simplify project management, stay on top of estimates, invoices, and every detail in between. In terms of usability, it is simple to set up, easy to use, and trusted by creative professionals around the world. Pricing: In-House plan starts at $15 per month per user. If you’re looking for a software that gives you a better way to plan and execute work, try LiquidPlanner. It treats projects as living and ever-changing constructs, so it implements a responsive approach to project management. 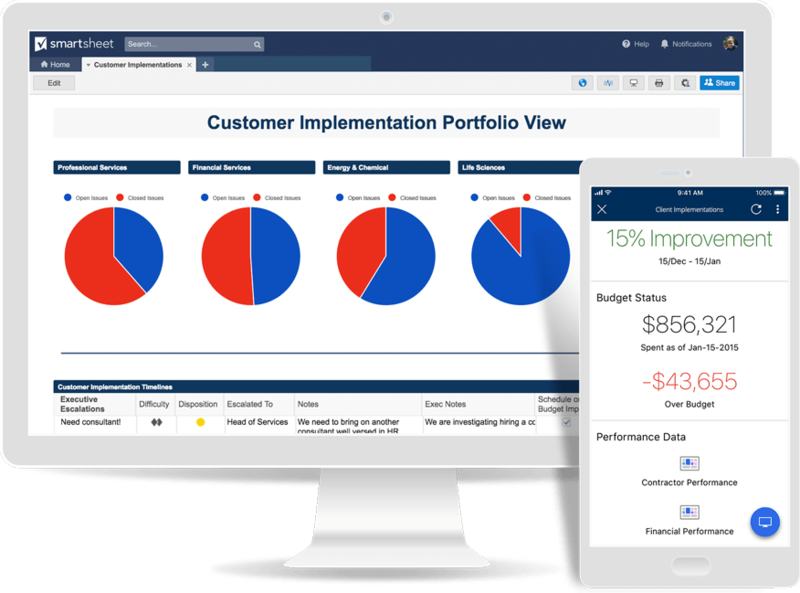 Clarizen’s cloud-based project management tool has a single goal – to move your business forward. You can centralize and share resources, develop strategies and align communications at one place. 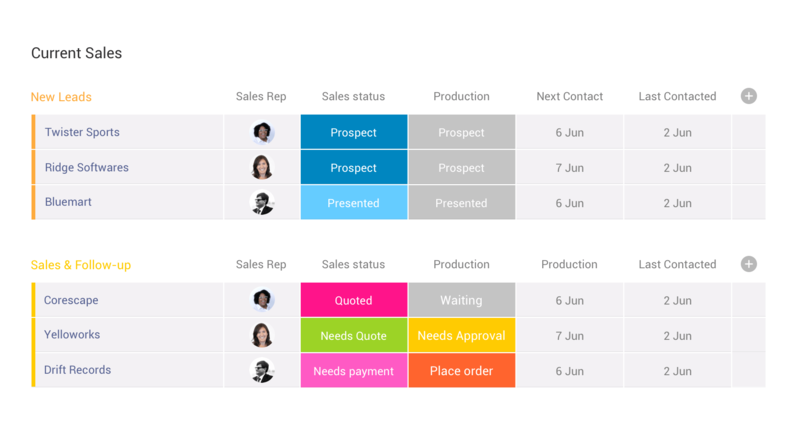 You can also create automated and repeatable processes, alerts, and workflows. Make accurate data-based decisions and share immediate project data. It is a leading work execution platform you need to move from idea to impact. The powerful work platform offers immense speed to the business value which results in more customers and revenue. 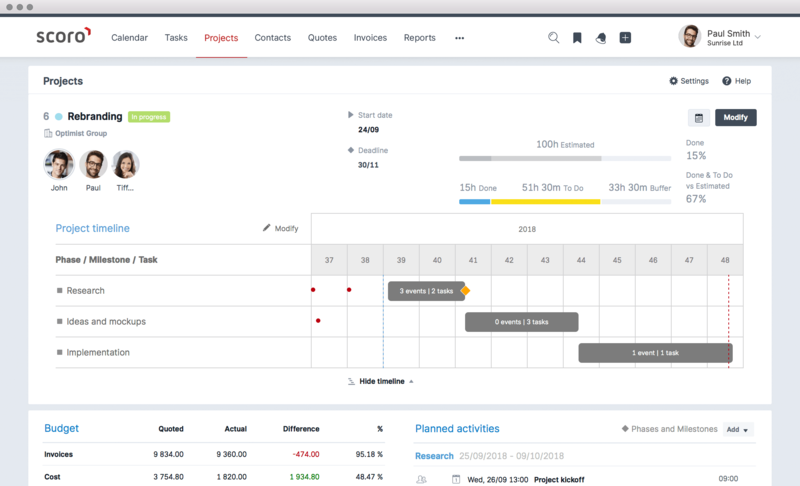 From projects to grids to calendars to tracking, Smartsheet has got you covered with essential tools for project management. If you are someone who works best with to-do lists and goals, Quire is the right tool for you. It lets you map your thoughts in a dynamic way by encouraging you to tackle big goals with small steps. Quire lets you drive your inspirations forward without losing the big picture. Pricing: Can be requested on their website. Zoho projects is an online project management app that lets you create and manage your projects efficiently. You can plan your project activities, assign work, manage resources and collaborate with your team better to get things done on time. Its award-winning project management system combines powerful project planning and scheduling features with collaboration tools for both remote and in-house teams. It works well with any project management methodology. So, plan in sprints or plan waterfall projects on its interactive Gantt charts. Scoro is designed as an end-to-end business management software solution for professional and creative services that help to streamline work and eliminate routine tasks. From the first ‘HELLO’ to the final invoice, it is a single place for everything you need to know and do. Be more organized, get more work done, and be in ultimate control with Scoro. Every project management app review list is incomplete without Asana. It is a popular work management software teams use to stay focused on goals, projects, daily tasks that grow business. 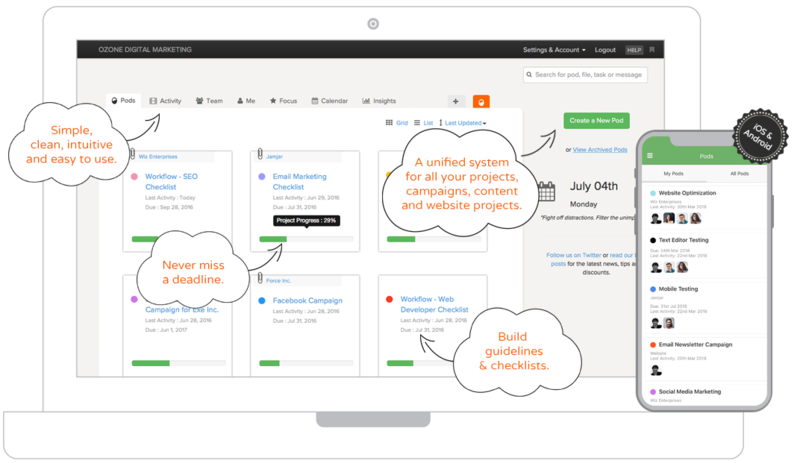 It helps teams to get organized, stay on track, and hit deadlines all at one place. The best thing about Asana is that you can plan and structure work in a way that’s best suited for you. Every project management software checklist has a tool that unites project management, time tracking, resource planning and more into one place. If you have one like that in your list as well, choose Mavenlink. It connects your people, projects, and profits on the modern software platform designed for services professionals. ActiveCollab isn’t just another organizational tool instead it is a state-of-the-art project management tool. It is your next logical step towards better project workflow. It comes with a plenty of neat add-ons making it a one-stop solution for all your business needs. It takes care of everything – task management, team collaboration, time tracking, and invoicing. One of the biggest considerations for choosing a project management app is being able to see the big picture to the minute details. 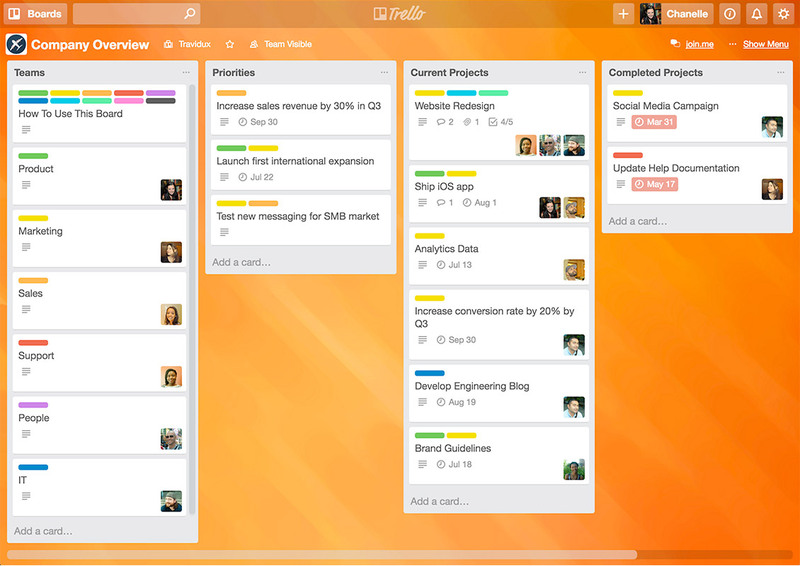 Trello keeps track of everything and lets you work more collaboratively and get more done. Trello boards, lists, and cards enable you to organize and prioritize projects in a fun, flexible, and rewarding way. The next tool on our project management app comparison list is Avaza. It is a beautiful software to run your business. As a project management app, it provides a platform that deals for effective task handling, timesheet and expense management, quoting and invoicing, and resource scheduling. 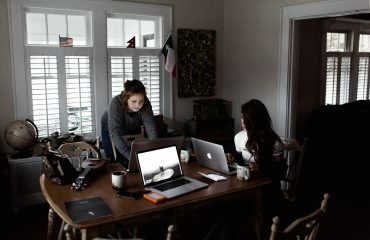 Teamwork is known as an online project management, help desk & team messaging software designed to maximize your team’s productivity, communication, and overall customer experience. It comes as a suite of three world-class individual products that can work together to streamline your business. It is already loved by 40,000 creative teams, agencies and enterprise businesses. 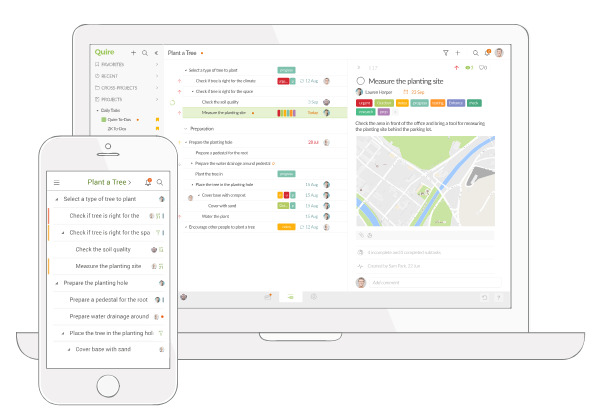 Looking for a project management app that is less complicated and more robust? If yes, you must try Workzone as it is the perfect project management solution in this category. It offers seamless visibility across an organization so that you know which projects are on track and what’s falling behind. It is loved and trusted by big brands such as Sephora, DKNY, Reuters, Wells Fargo and more. Pricing: You can request demo and pricing on its website. 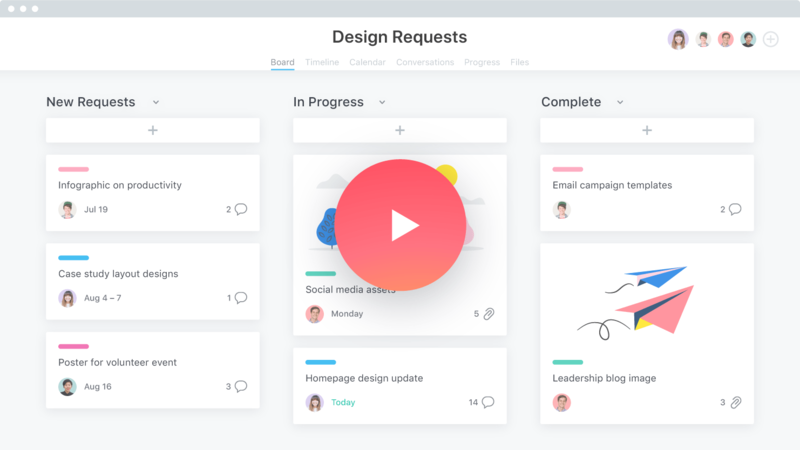 Paymo is a full-featured online project management app with features such as time tracking, resource planning, Gantt charts, reports, kanban boards to make work less stressful. Whether you are a creative professional, web designer, marketer, business consultant, it is used by people from different departments all over the world. Brightpod is the last web-based software on our project management app comparison list. It makes planning and collaboration a breeze being a unified system for all your projects, campaigns, content and website projects. It is simple, clean, intuitive and easy-to-use. Thanks to Brightpod that your business can now have its own marketing, communication, content planning, and project tracking system. Got to finish projects on time? Plan, collaborate, deliver with ProofHub. The aforementioned tips can be used to create project management app selection criteria for your business. If you’re working solo or as an entrepreneur, it can also be used as a beginner’s guide to select a project management software. If you think we left out on important considerations for choosing a PM software, let us know about it in comments section.